Savannah, GA microphone monster DOPE KNIFE has dropped his self-produced full-length SFdigi debut “NineteenEightyFour” (featuring Sage Francis, Ceschi, and more)! 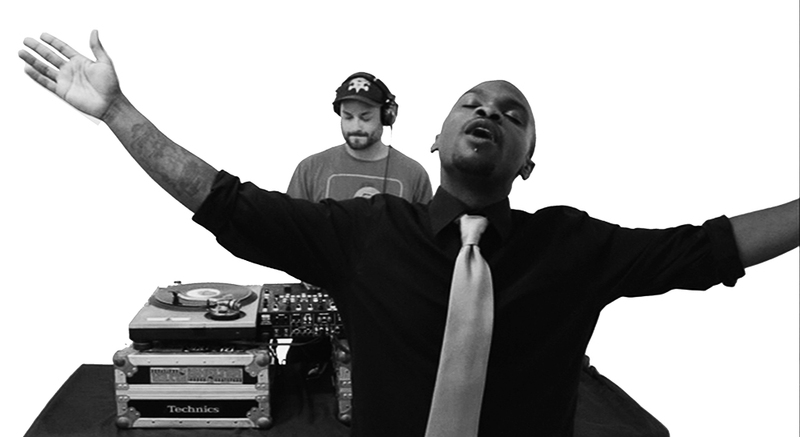 Get your MP3 download, Limited Edition CDs, + 7-inch Records exclusively at StrangeFamous.com here. 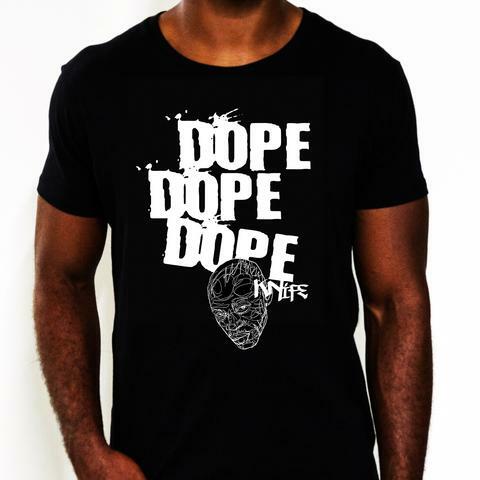 Official SFdigi Dope KNife T-SHIRTS & SNAPBACKS are now available from SFRstore! Click here to check them out & cop yours. 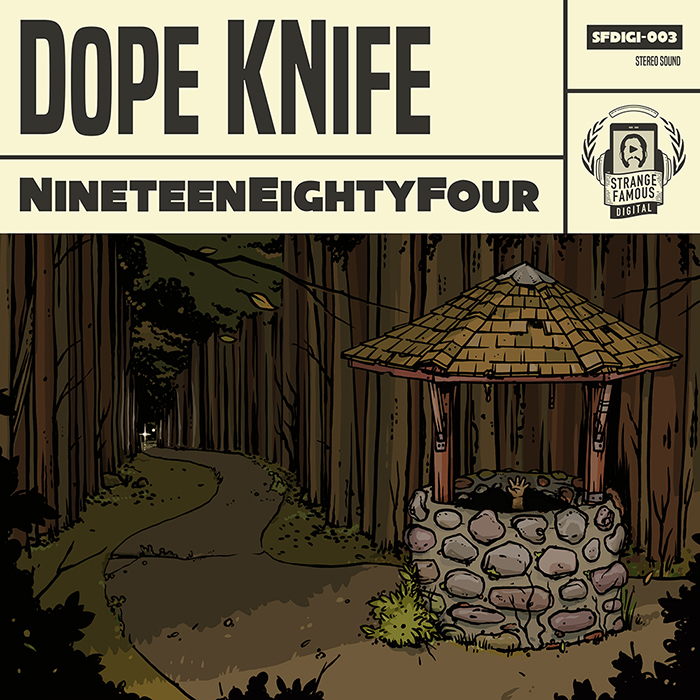 “NineteenEightyFour”, KNife’s Strange Famous Digital debut, effectively demonstrates his style in ferocious, focused bursts, fused into a gritty boom-bap soundscape littered with dense wordplay. “NAME UP” was the first video from “NineteenEightyFour”! SFR’s PROLYPHIC has remixed “Cult Personality” featuring SAGE FRANCIS! Listen below. Mack forged strong friendships through his foray into music, friendships which lead to the formation of a DIY record label that allowed him to release 2 full-length group LPs under the crew name Dope Sandwich. Remaining true to his collaborative roots, Mack invites a gang of indie emcees to contribute to “NineteenEightyFour”; rappers with whom he built a mutual respect over years of extensive touring appear on the posse cuts “#SQUADGOHARD” and “Tombstone”. 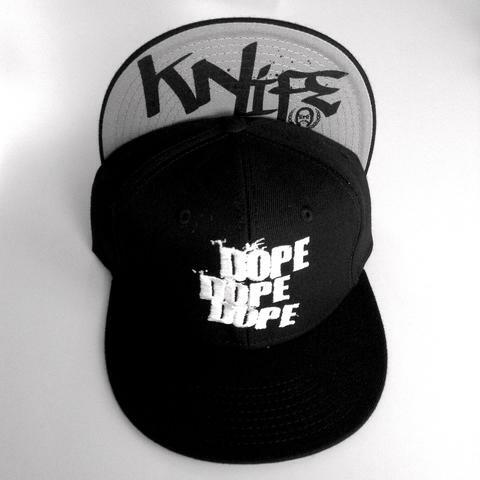 KNife uses the solo album format to display his sharp wit and a knack for social commentary, and to explore heavier subject matter and experiment with his own music production. Moments of note include the first single, “Name Up”, and the introductory mission statement “Nothing To Lose”. Strange Famous label boss Sage Francis makes an appearance on “Cult Personality”, and indie rap troubadour Ceschi pops up on “Fear and Loathing”. Check out “Nothing To Lose”, the first song from “NineteenEightyFour”! I only wish that we had encountered more opportunities to sit and talk. I'm quite sure that I am going to love this album as I learn more about you through your craft. I've always love you Mack and always will. Congratulations on this and ALL future endeavors.